Exterior painting is not for everyone. Unlike the inside of the house where the temperature can be controlled, you are subject to the elements. In a cold-weather state such as New Jersey, you don’t want to paint in the Spring as it might still be coolish and it rains too much, Summer’s heat and humidity makes it just a so-so season to get the job done, so early Fall is just perfect. Paint needs plenty of time to cure and rain is its enemy. Intense humidity seeps under your new paint job and will cause it to bubble. A whole-house exterior paint job is a lot of work and you might want to consider hiring a professional exterior painter in Monmouth NJ. No fears of falling off the ladder or growing weary of the job at hand and making sloppy mistakes. It happens you know; you are working against a clock, Mother Nature and admittedly painting is not your forte. A professional contractor is used to painting outdoors and will have the daunting task done before you know it. In order for the paint to adhere, you must properly prepare the surface. Power washing or scrubbing the surface removes any dirt and mildew and sanding smoothes any rough edges before you begin the priming and painting or staining process. Any peeling paint will need to be removed by scraping it away and smoothing it out with resin, then primer. Don’t pinch pennies; buy good-quality paint. You’ll regret it later if you compromise on the quality of the paint by going with a cheaper brand. Lower-quality paint will not stand up to everyday weathering. Without the good protection against sunlight and cold temperatures, soon your new paint job will start to fade and lose moisture which will cause the paint to eventually crack. Plan on using two coats of paint to do a proper job. Top paint manufacturers, like Sherwin Williams, specify on all products that they recommend two coats of paint. This is essential for the paint to hold up over time. Two coats will outperform one coat in terms of durability, protection, washability and getting and retaining the true color. 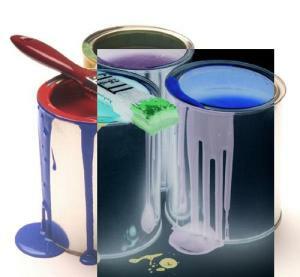 If you have multiple cans of paint of the same paint color, combine them into a large bucket and mix them together. This is known as “boxing the paint” and ensures you are getting a true and uniform color.